July 17th in Wordpress Plugins by Wordpress Jedi . Bringing new writers on-board can give your business the chance to grow more rapidly. But it is not without its challenges. Unless you get lucky, you may have to train your new writers to write the right way for your website. 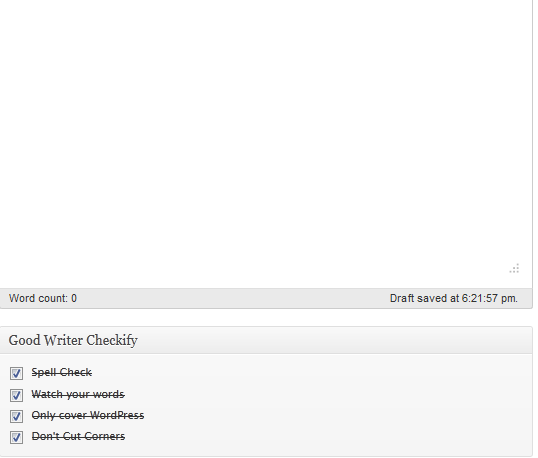 Good Writer Checkify is a pretty cool checklist plugin that helps with that. 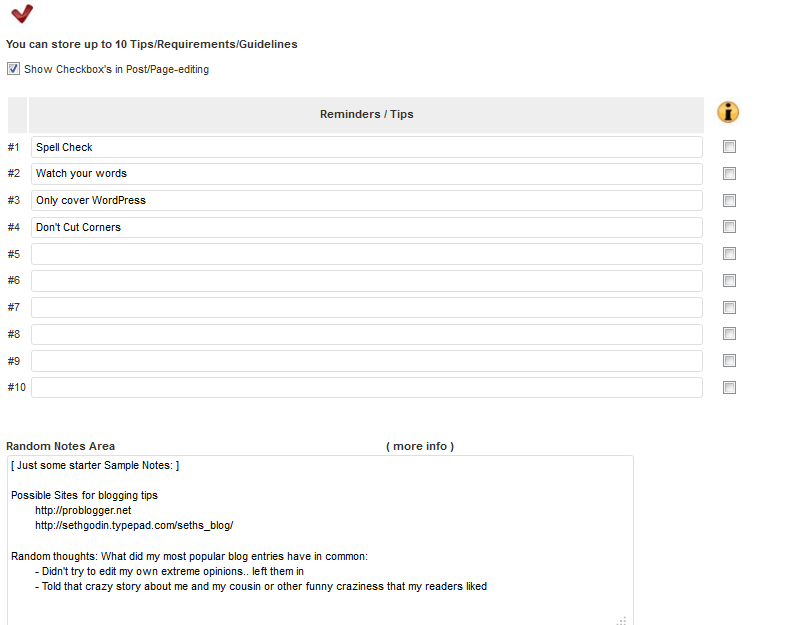 It lets you add your own guidelines under the post-editor area so your writers won’t miss them. The plugin puts you in complete control of what shows up under your posts. You can easily add the items you don’t want your team members to ignore on the Settings page. Users can take advantage of this plugin to remind their writers to keep posts above a certain number of words or make them as SEO friendly as possible. Good Writer Checkify is a pretty simple checklist plugin for WordPress that lets you share the blogging tips you have found with your team members or remind them of good writing principles. It does what it promises well.